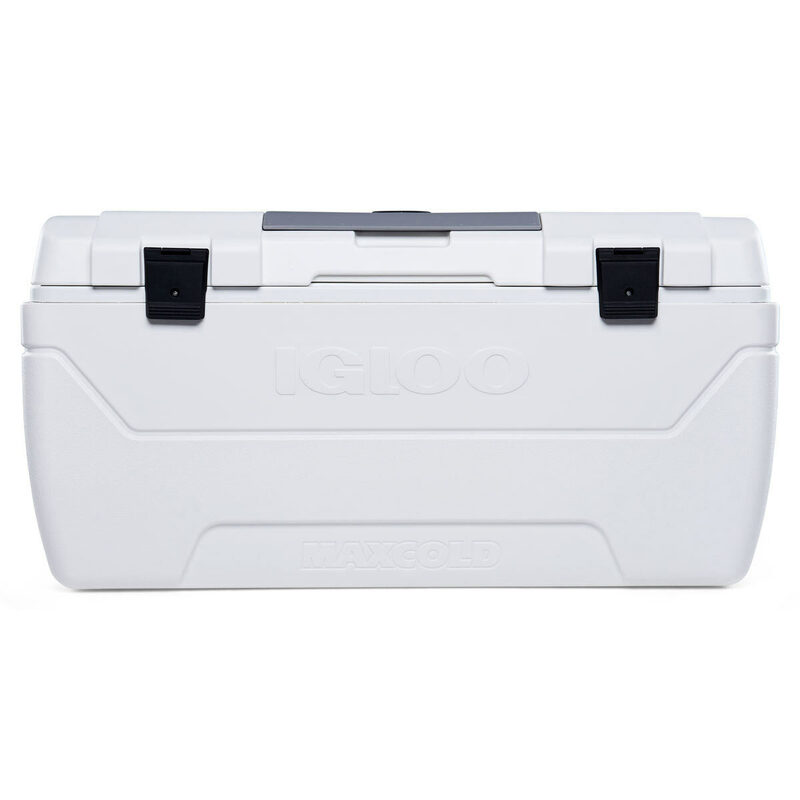 This Igloo MaxCold 165 quart capacity cooler gives extended cooling performance for the long haul. It has UltrathermTM insulation in the body and lid to provide maximum cooling for your drinks and snacks, making this cooler ideal for camping, extended trips, long days out, or even garden and party fun. This cooler has sturdy hinges and new wider design reinforced swing-up handles with tie-down loop feature to provide better comfort and durability. Dual snaplock latches give the lid a secure closure, and this child safe feature means that you can be sure that your children can use the cooler safely. This cooler has a stain and odour resistant liner, and the threaded drain plug is hose-compatible to allow for quick and easy draining and cleaning. With UV inhibitors to guard against sun damage, you do not need to shade this cooler from the sun, and the quick-access hatch lets you access contents without letting the cold air escape. 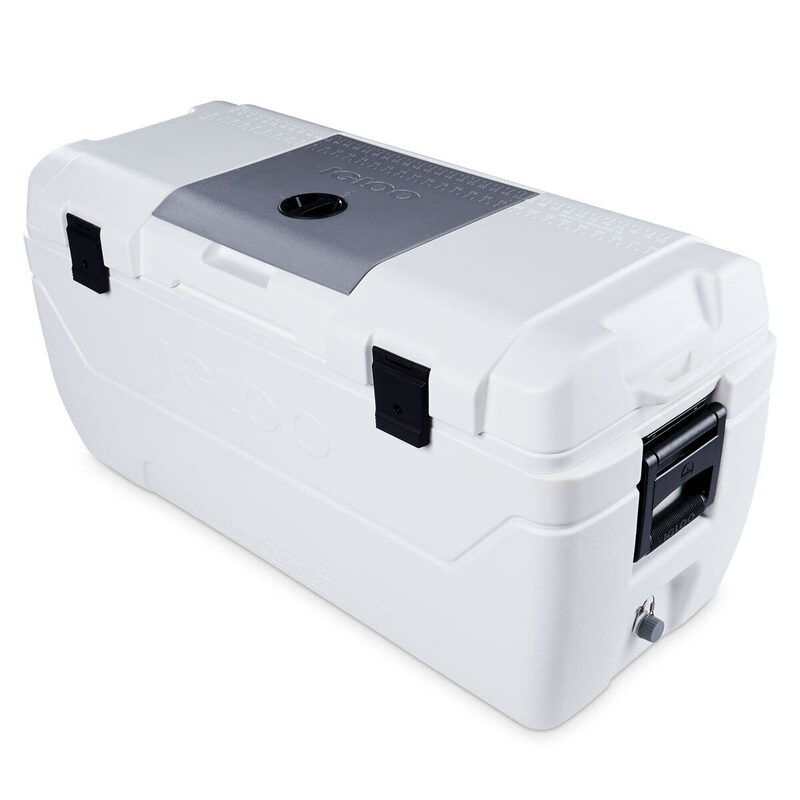 This Igloo MaxCold cooler which is packed with features, keeps cool for up to 7 days and is perfect for your days out and extended trips.